Water resistant and FDA approved, our natural sunscreen formula provides beneficial antioxidants while moisturizing your skin. 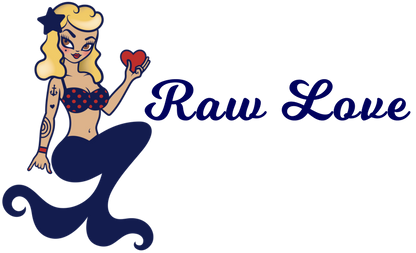 Raw Love Sunscreen offers full broad spectrum sun protection with SPF 35 using non nano zinc as the only active ingredient. The best sun protection is to limit your exposure and cover your skin. The second best protection is Raw Love! How does non nano zinc work as a sun block? An essential mineral, zinc oxide effectively reflects and scatters UVA and UVB rays from the sun, which means it provides “broad range coverage” for sun protection. You can see the protection layer created on your skin initially before fully absorbed—a creamy white barrier keeping your skin safe. What else should I know about zinc oxide in sunscreen? Zinc oxide is non-irritating and safe with sensitive skin types. Zinc oxide is used as a skin protectant and anti-irritant with a long history of being used to treat skin irritations and diaper rash. So it’s really perfect in sunscreens! What does “non nano” actually mean and why does it matter? A non-nano particle is larger than 100 nanometers whereas nanoparticles are tiny clumps/crystals of some substance with size ranging from 1 to 100 nanometers. One nanometer = one thousandth of a millimeter (a.k.a. ultra-small). Research has shown evidence that some substances may cause health risks when converted to nanoparticles. Consider avoiding skin care products with nanoparticles until further research is available. What is the best sun protection? Wear sunglasses, a hat, and wear UV protective clothing when possible. Limit or avoid exposure between 10 a.m. and 4 p.m. Maintain proper hydration by drinking plenty of water. Keiki (children) need more sun protection than adults so be sure that your children are getting full coverage and re-applying sunscreen throughout the day. Use broad spectrum protection sunscreen, apply heavily to achieve full SPF benefits, and reapply after swimming and excessive sweat.